Taking a break from his Australian tour, A$AP Ferg chatted with Sneaker Freaker and talked about which kicks he likes his ladies to wear and his first sneaker purchase. Ferg has taken a liking to women who rock the Air Jordan XI-inspired Future silhouette. "What’s the new Jordans? They short, then there’s like a weave kinda material, and the laces come on the side. Yeah, I like to see girls in those," he quipped. Meanwhile, Fergenstein​&apos;s first cop shouldn&apos;t come as much of a surprise to anyone who&apos;s familiar with the Harlem rapper. "Air Force 1s, the white low-top joints. 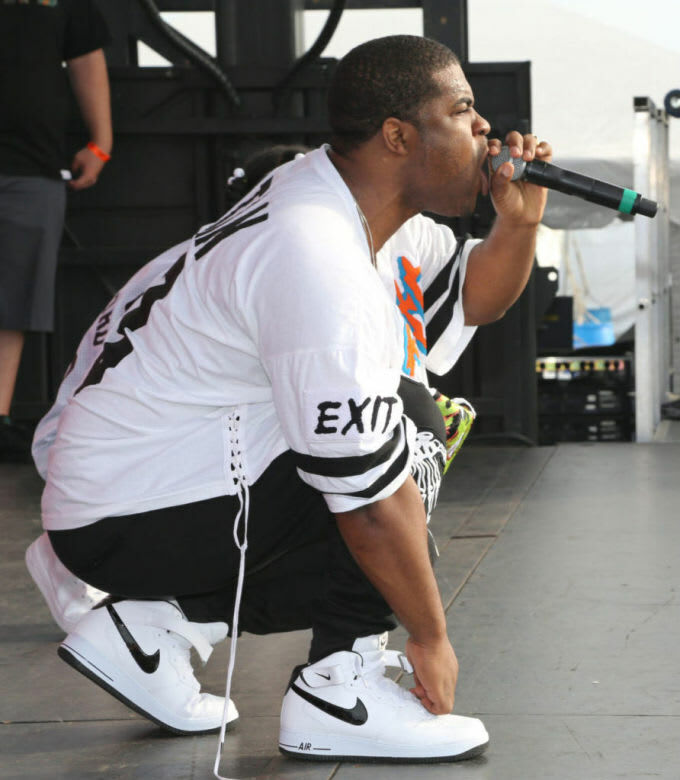 In Harlem, that’s like buying a white T-shirt, you gotta have it," said Ferg. Check out the rest of Ferg&apos;s picks, including his go-to pair and the sneakers he breaks out when he&apos;s looking to make a statement, over at Sneaker Freaker now.